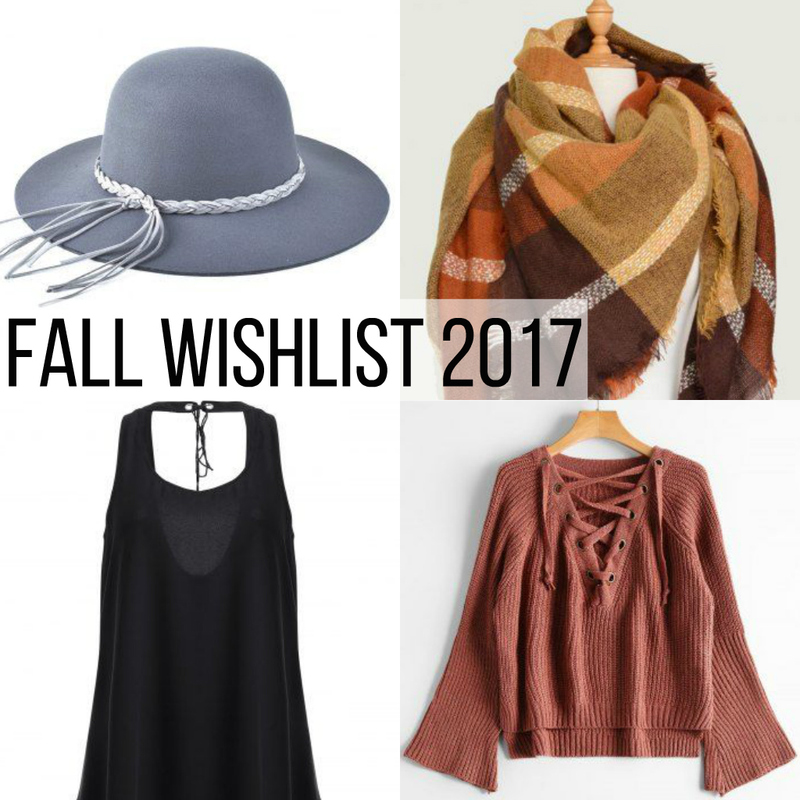 Style | Fall Wishlist 2017! Fall will be here before we know it and I'm getting so excited! Fall is my favorite season in general and for fashion. I mean, who doesn't love floppy hats and cozy sweaters?! Below I've listed a few items that are on my current wishlist & you can find them all at Rosegal. I can't get enough hats! I wear more hats in the fall than in any other season. I love the light gray color of this one and the braided tassel is such a cute accent. Everyone needs a warm, comfy scarf for the colder months. I'm obsessed with the color scheme on this one and I love how big it is! I've been wanting a new little black dress to have as a wardrobe staple! I love this one for a more casual lbd and I'm eyeing a black strapless dress for a fancier option. This sweater is so so gorgeous. I love the color, the bell sleeves and the lace up detailing! *Thank you Rosegal for sponsoring this post! All opinions are 100% my own. Thank you for supporting the companies that support BG by Christina!